Rock’n'roll doesn’t readily come to mind when you think about Winnie The Pooh. If you found yourself pondering Pooh and Christopher Robin and all of the characters created by A.A. Milne that populate the 100 AcreWoods, you wouldn’t quickly think “Yeah, that’s rock’n'roll,” alright. Taking that further, you wouldn’t suspect that Benjamin Hoff’s philosophical take on Pooh in The Tao of Pooh, would fuel the fires of rock, either. It seems like this isn’t really the fodder for inspiring an entire rock album, that somehow it would never have been anything Milne or Hoff would have imagined occurring. 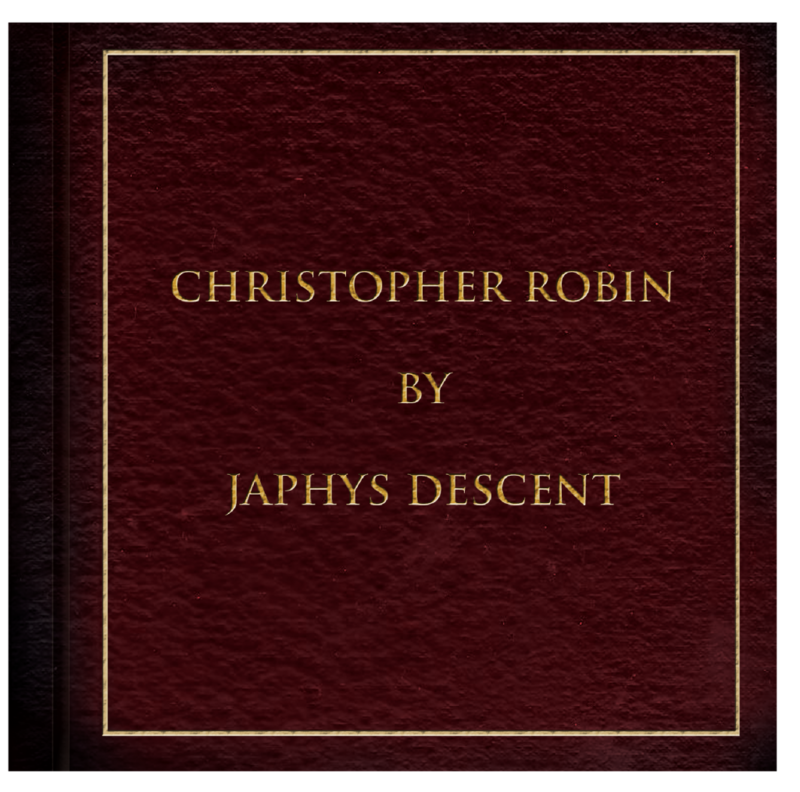 Well, this is exactly what Japhy’s Descent has done with their brand new album Christopher Robin–and it does indeed rock, from beginning to end. Once more Travis (Vocals/ Guitar), Martin (Guitar/Vocals) James (Drums, Vocals) and Brian (Bass, Vocals) along with a host of local guests have produced another great album, though in my opinion it far surpasses their previous releases in scope, vision and sheer brilliance. Christopher Robin has been something I’ve been looking forward to for nearly two years and with that much anticipation and build up, I can say that it does not disappoint in the least–in fact it’s more than I could have ever imagined. 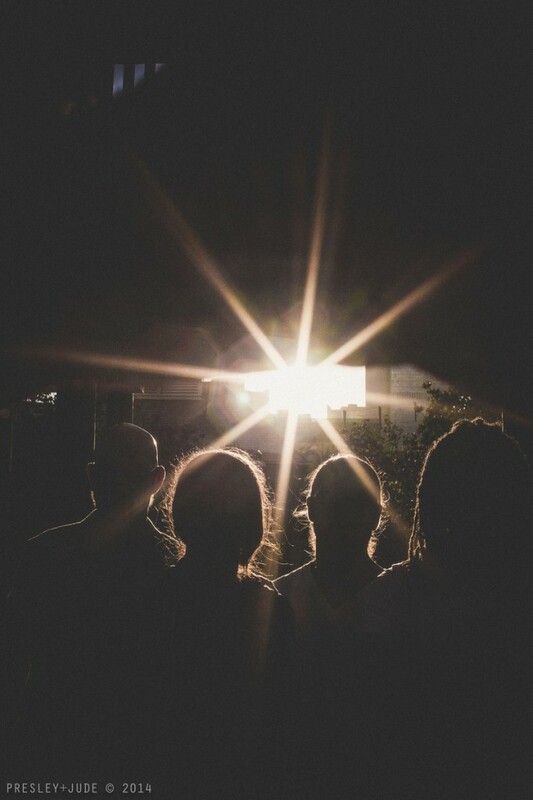 It seemed that nearly the moment after Japhy’s Descent released their epic double album Moon Noon in the early Summer of 2012, they were already working on their next album and playing new songs they had written for it. I remember when Travis told me excitedly about the new project nearly two years ago, he said simply, “It’s a rock album based on The Tao Of Pooh.” It blew my mind. I had read The Tao Of Pooh when I was in college, after it was recommended to me by a friend, I was searching for myself after leaving the Science program and the friend, as well as the book helped me discover that I was a writer. It was my true nature. So, it had been many years since I read it and I immediately intrigued by Travis’ concept. The album seemed as unlikely as a Taoist treatise on the characters from the much beloved 100 Acre Woods. Slowly, the songs began to appear in their live setlist and I was becoming more excited with each show about where this was going, friends were asking about songs in their set and how much they loved them–it was some of their best work to date. A month ago or so, they announced the release date and show and I knew I wanted to fully immerse myself in the album and it is far more brilliant than I could have hoped for, far more concise and focused than I expected and with a running time of just under forty minutes it rings of perfection. It all starts with a bell being struck and what sounds like a Tibetan singing bowl being used for the introduction to the album which is “100 Acres”, the sole instrumental on the album and a beautiful prologue to the rest of the album. In preparing for full enjoyment of the album, I re-read The Tao Of Pooh, listening to the album on and off as I did so. For some reason this song will always feel like the true nature of the book. It tastes and feels like the book itself. I don’t know how to describe it better than that, but this four minute instrumental somehow sums up the quintessence of the book without saying a word. Kicking in with some menacing guitar chords, “The Rabbit” really gets things started right and features the guest banjo work of Banana Gun’s Kevin Lloyd. I remember the first time I heard this live and I nearly lost my mind, now here it is on record, sounding better than ever–fully accomplished. It will have you snarling “Your tongue turns silver into gold for days.” At this point to (it’s only the second song), you get the idea of what magic producer Curtis Grippe of STEM Recording is throwing down here. This is one of my favorite tracks here and it becomes clear very early on in this record that everyone in the band is bringing there all to this project. Keep in mind also, that each song is representative of a chakra as well, not just a character from childhood books and musings on Eastern wisdom, this is the start of that with “The Rabbit” representing the Root Chakra. The more you think about it, the more brilliant the album becomes. People have been asking me about “Bounce” for months. The song that represents Tigger and the Sacral chakra is clearly a fan favorite. It is more tied to the literature behind this album than nearly any other, filled with quotes from both Hoff and Milne’s works, it is probably one of the most perfect tracks found here. It also happens to feature Banana Gun’s Kyle Scarborough on a wailing saxophone. Lyrics like “It’s not the thinkers, it’s the doers that will liberate us” and “I get my view from the top of a mountain” are direct references to the stories about Tigger finding Rabbit when he is lost and it plays out beautifully here. This should be a single everywhere, immediately. “Very Small Animal” of course represents Piglet, the beautifully nervous ideal of naivety and innocence, as well as the Heart chakra. Piglet worries constantly and this song is a perfect summation of all that Piglet is–”Back and forth between my worried mind, back and forth between my worried eyes” Travis sings with a rough edge in his voice. It is another song that is true to the character and the chakra for that matter. Featuring keys by David Entz of The Mojo Farmers, this also features some of the finest guitar work by Martin on the album. You would not expect a song about Eeyore to be a very upbeat number and you would be right, this is a downright jazzy, low key affair, but it resonates with Eeyore-ness, which is something they continually achieve here. They may not directly quote the character, but they somehow get it completely right on “House Of Wood”–this song also shows the range of what Japhy’s is capable of musically. And somehow they display Eeyore’s overthinking, often amusing, pessimism without being a complete downer. This may be due to the guitar work of Calin Gross and the hip hop passages by Kalen Lander. At this point I am beginning to think that every song on here is one of my favorites. Then again, I may be as schizophrenic as Christopher Robin who views the shattered elements of his mind through the bestiary in his bedroom. Apparently, “The Pocket” was conceived entirely in the studio. This is. of course, the representation of Roo and it presents the Solar Plexus chakra as well. I think there is a sense of urgency here that is not in the other songs, perhaps because they had to come up with another track and realized this in the studio. What you have here is the hardest rocking number on the entire album, it has little to do with the concept, but it doesn’t matter because it’s just goddamn great. It is pure rock’n'roll and when pressed for time and the need to fill out the album, Japhy’s Descent will simply put out one of their best songs of all time. So, two years ago or so Japhy’s Descent unleashed “The Owl” at their live shows and this was what set me on fire for this album. It has been and may always be my favorite song by them ever. It was the first single and video from the approaching album and in its finished glory it is even better, this is a song I have tracked from demo, to live performance, to radio recording and now to its finished album version and if anything is their masterpiece, this is it. While it does suitably represent the Third Eye chakra I have no idea how it relates to the pontificating academe of Owl, but I’ll take it because I love it so much. It’s finally time for the Crown chakra and the finale that is “Bear”. You see, Pooh is the uncarved block, he is perfection because he just is. He does not have to calculate like Rabbit or worry like Piglet or pontificate like Owl or fret like Eeyore or bounce like Tigger, he just is, without question, without thought, he is the Tao. He is in the moment all the time because all he understands is the moment he is in. The band here pretty much makes a rock meditation out of the refrain “Wouldn’t that be sweet” and somewhere around the four minute mark, the guest players on the album all come in to join Pooh in the finale–check out the ba njo, the sax, the horns and Grippe throwing down the congas. It ends with a gong as it began with a bell and it is perfect. This album could not have been better in any capacity and it truly fills my heart with joy. In concept, execution and delivery Christopher Robin is probably the finest full length album of the year. I listen to it to stare at clouds and fill my soul with joy. I encourage you to do the same. Japhy’s Descent will release Christopher Robin on October 17th at a block party held on on Mill & 6th for an epic evening of Tempe music, art and fun! Indoor and outdoor stages, 7 hours of non-stop live & local music and of course a copy Christopher Robin! 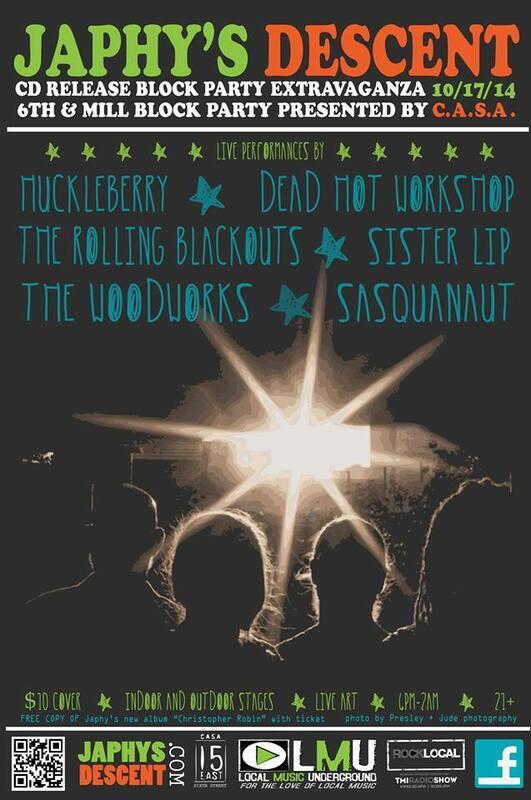 The band will be supported by none other than Dead Hot Workshop, Huckleberry, Sister Lip, The Rolling Blackouts, The Woodworks, and Sasquanaut. This will be amazing.